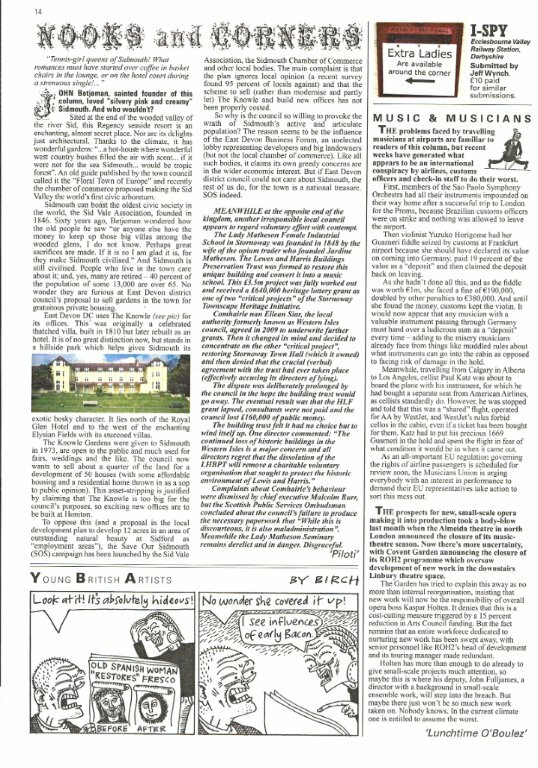 The plans to destroy the character of Sidmouth, and our campaign to stop them, has reached the pages of Private Eye magazine. The 7 Sept edition featured a damning expose of the EDDC scheme in the ‘Nooks and Corners’ column. It concluded: “if East Devon District Council do not care about Sidmouth, the rest of us do, for it is a national treasure. S.O.S. indeed”. Categories: SOS in the Media | Tags: EDDC, media, private eye, S.O.S. | Permalink.